After the release of his "single-session" game Subsurface Circular last year, Mike Bithell has announced a Switch version. It's available today. 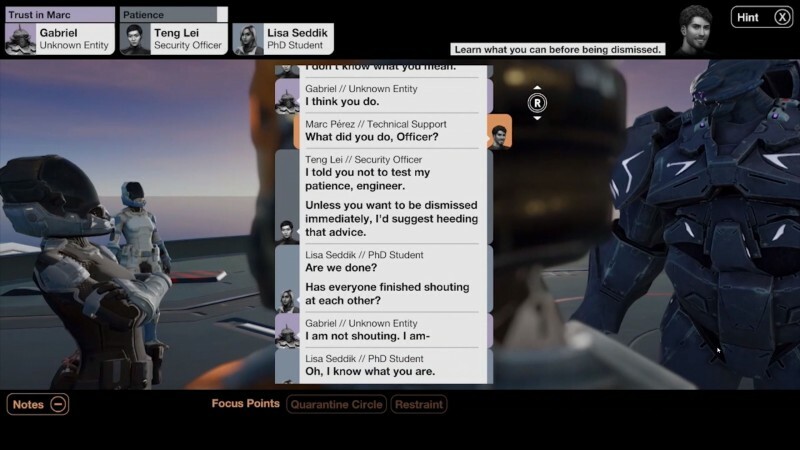 Similar to Subsurface Circular, Quarantine Circular takes place primarily through a phone-like texting interface as you make dialogue choices as texts come in. The setting is once again a futuristic sci-fi setting, though the conversations focus on a more personal tale. The game was announced during today's Kinda Funny Games Showcase, and you download it on the eShop after the show is over in about half an hour.